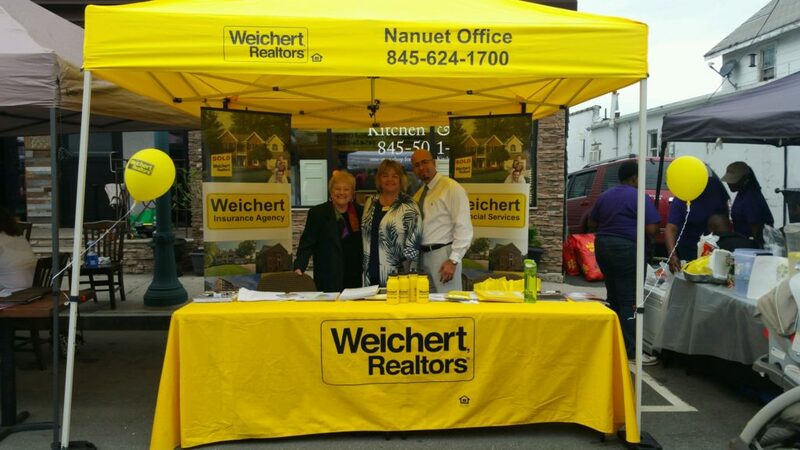 NANUET—Karen McCabe, manager of Weichert, Realtors’ Nanuet office, announced that the office recently participated in the 2017 Nanuet Chamber Street Festival held on June 4th. The event, organized by the Greater Nanuet Chamber of Commerce, attracts more than 15,000 people annually to the Main Street festivities. Those who attended the street festival enjoyed live entertainment, amusements, rides, games, a beer and wine garden, and crafts and giveaways, along with food and refreshments. More than 200 vendors displayed hand-crafted art, jewelry, home items and more. Sales associates from Weichert’s Nanuet office who participated in the street festival included: Wilson Cadet, Jason Cantave, Jean LeBlanc, Marc Russack Beth Siciliano and Christina Tolen. McCabe and Gold Services Manager Abdias Ramos also took part in the day’s festivities.